The dropped out Indian Cricketer S Sreesanth tied his life to Jaipur princess Bhuvaneshwari Kumari in Guruvayoor temple located in Thrissur, kerala. The wedding took place today morning in a kerala traditional style. The reception is expected to happen either in Le Meridian hostel, Kochi or in Sreesanth's ancestral home in Ernakulam. The reception seems to be conducted only for the close relatives of Sreesanth and Bhuvaneshwari Kumari. Another reception is expected later for rest of his well wishers. Today's reception is expected to take place in Rajasthani style. Sreesanth have opened his love to the world before the sixth season of IPL and mentioned in twitter that his marriage will happen after the IPL season. Bhuvaneshwari Kumari is fondly called by her family members as Nain. She is from a royal family belonging to Jaipur and she is a jewellery designer. It seems Sreesanth was in relationship with Nain for past six years and she is the girl who stood along with him in his hard times and tied the knot with him. 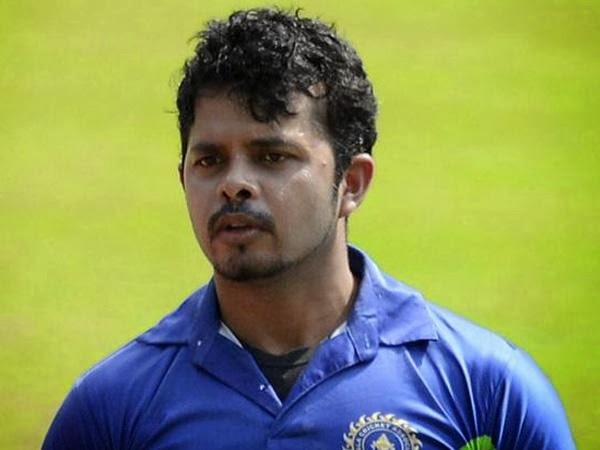 Sreesanth along with two Rajasthan Royal players were arrested for spot-fixing scandal of sixth IPL season. Sreesanth was imprisoned for 27 days in Tihar jail and now set out in the bail. Because of these problems, his wedding got delayed. Moreover Sreesanth have been banned from Cricket for his lifetime by BCCI for involving in IPL spot-fixing. He represented India in 53 ODI, 27 test and 10 T20 matches. Nain was first met by Sreesanth in an ODI match against Pakistan before six years, when she came to get autograph from Sreesanth. Sreesanth fallen in love at first sight. Now she tied her life with him at the hard time as Sreesanth is out in the bail and the case is posted for Dec 18.